After our stay at the Sheraton Maui, we made our way to the airport for the quick flight to Kauai. 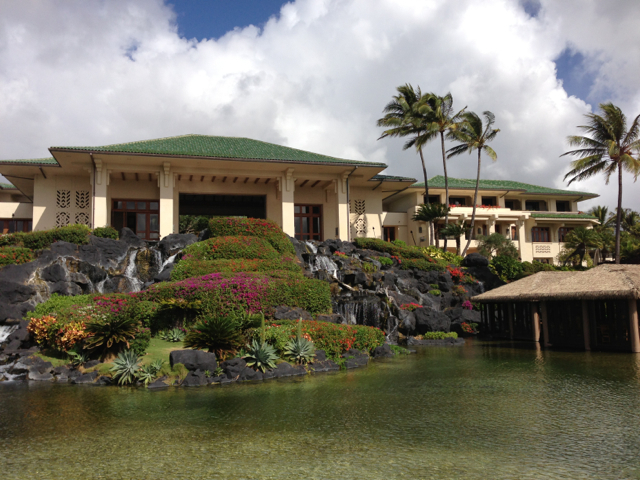 We had 5 nights on the island, and ultimately decided to split our time between the Grand Hyatt on the south side and the St. Regis in Princeville. 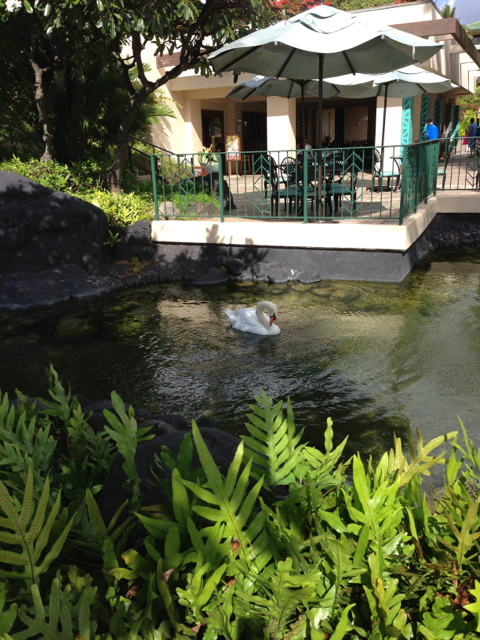 Our one previous stay on Kauai was at the Marriott near the Lihue airport. 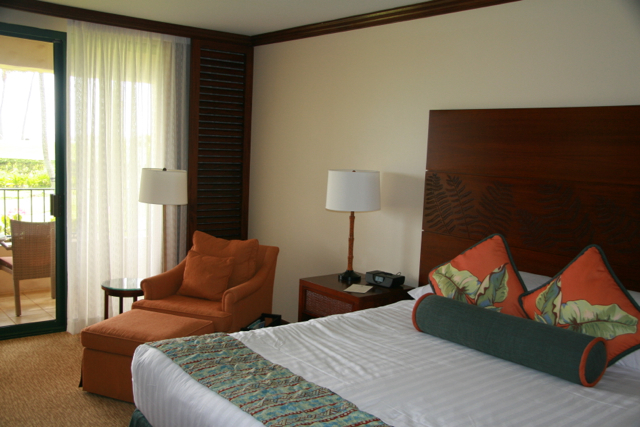 We knew we wanted to spend some time on the north shore, but since the St. Regis Princeville is pretty pricey, and I didn’t want to significantly deplete my SPG balance, we decided on 3 nights at the Grand Hyatt. 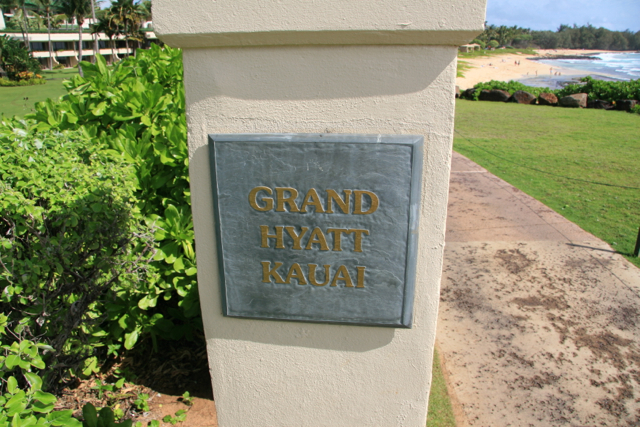 This Grand Hyatt is a resort property, and although we did not receive any upgrade beyond an ocean view room, it was a lovely stay. It is large property with more than 600 rooms. 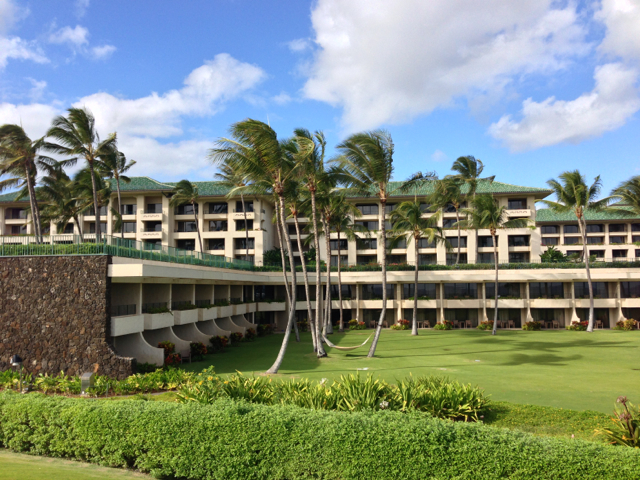 Those rooms get quite spread out, since it is against Kauai law for a building to be taller than a palm tree. It was a long walk from the lobby to our room, and the map they provided came in quite handy. 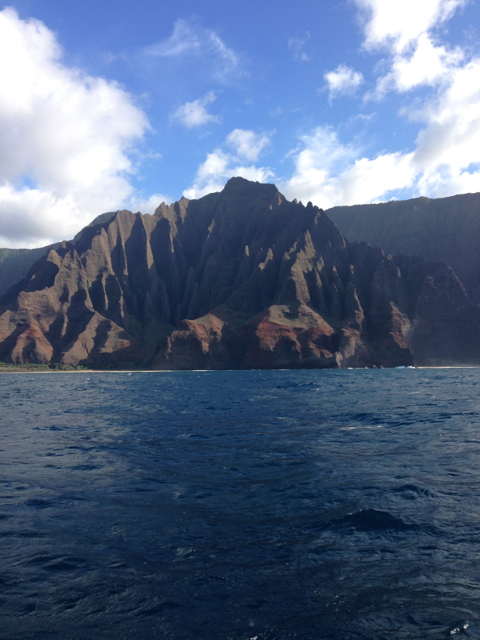 This was only our second visit to Kauai, but one thing we knew we wanted to see was the Napali Coast. There are a few options for a visit, but we opted for a sunset dinner cruise. One of the boat tour companies has a desk right at the Grand Hyatt, but they were full for the days we wanted. We booked with another company through the hotel concierge. Technically the boat had sails, but I think they were mostly for show, and they were only up for a few short minutes of the trip, and the boat was run by a motor the rest of the time. 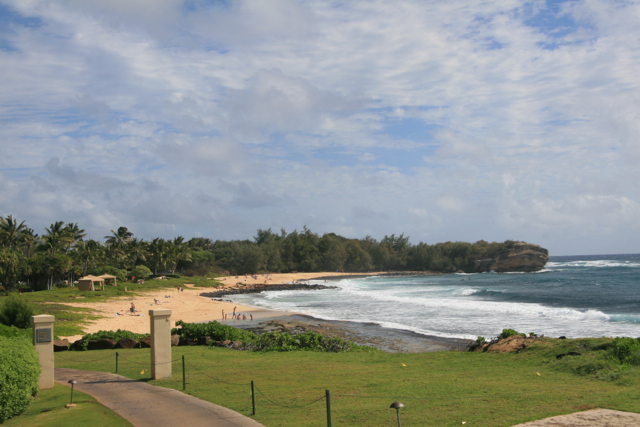 This was a scenic trip following the shoreline of Kauai from the southwest to the northwest side of the island. Dinner and drinks were included in the ticket price. It won’t win any culinary awards, but the plate lunch-style meal of Kalua pork and rice is hard to screw up, and it was tasty. The mai tai’s were pretty good too. 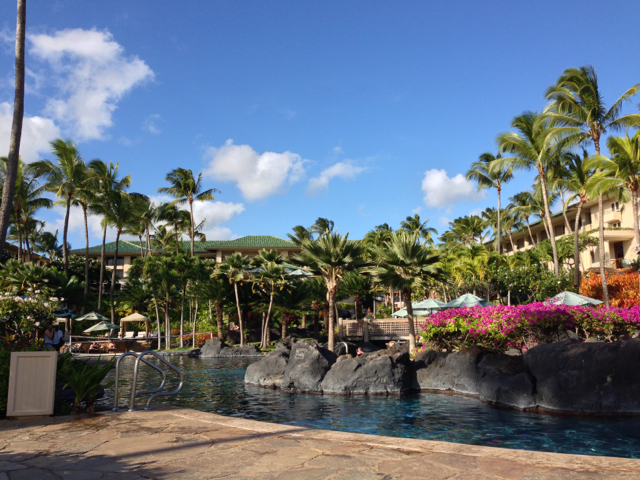 We also spent some time at the hotel relaxing, and the expansive pool areas are great for that. There are adults only pools, and a water slides for kids (of all ages). So what if I was the only 30-something on the slide that didn’t have children with them? There is a sandy lagoon pool for those who want the ocean experience without waves and undertow. The surf rolling into the beach was pretty rough during our stay. It wasn’t always sunny during our stay, but it was still nice to sit outside and enjoy the warm weather. The fitness center is spacious and very well equipped. 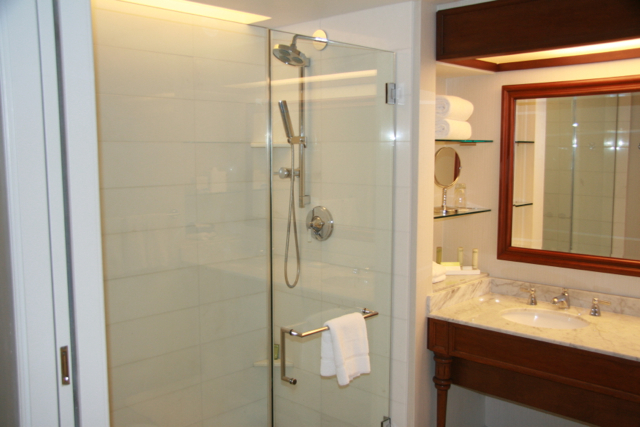 The attached spa is very nice, and its shower facilities are available to gym users. I enjoyed a luxurious outdoor shower after a workout one day. Overall the facilities were very nice. Here are some photos around the property. Our room was nice, and seemed newly updated. 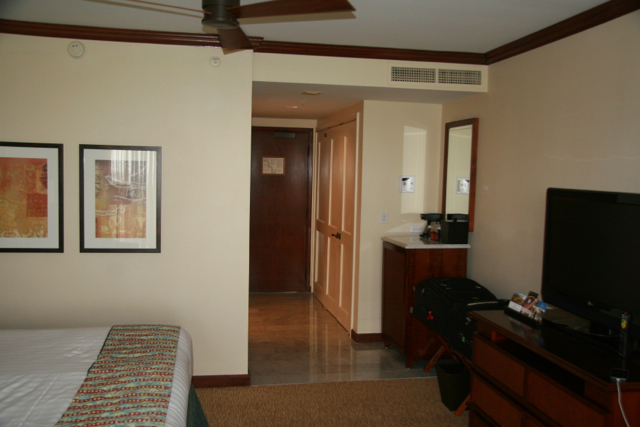 Here are some photos of our ocean view room. 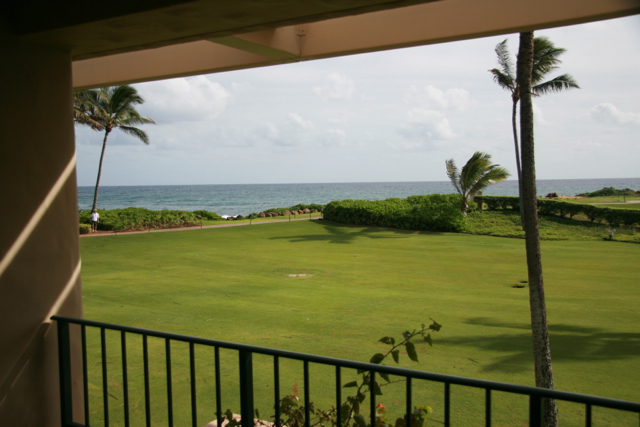 We had a spacious lanai, and a nice view of the gardens with the ocean beyond. Although it was not particularly close to our room, the Grand Club is excellent. I’m not one for staying on the resort too much, but the offerings at the club are sufficient for meals if so desired. The breakfast spread is extensive, with the typical Hyatt offerings along with various hot options. There are also snacks throughout the day along with a nice evening selection. There is an honor bar with very reasonable prices compared with other options, particularly on the resort. 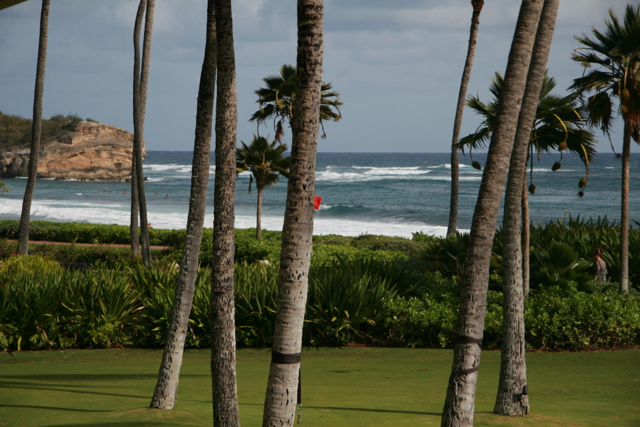 The Grand Hyatt Kauai is a nice spot on the south coast of Kauai. It is a category 6 property, which is the highest level in the Gold Passport program. It costs 22,000 points per night for a standard room. Paid rates were around $350 per night when we were there.